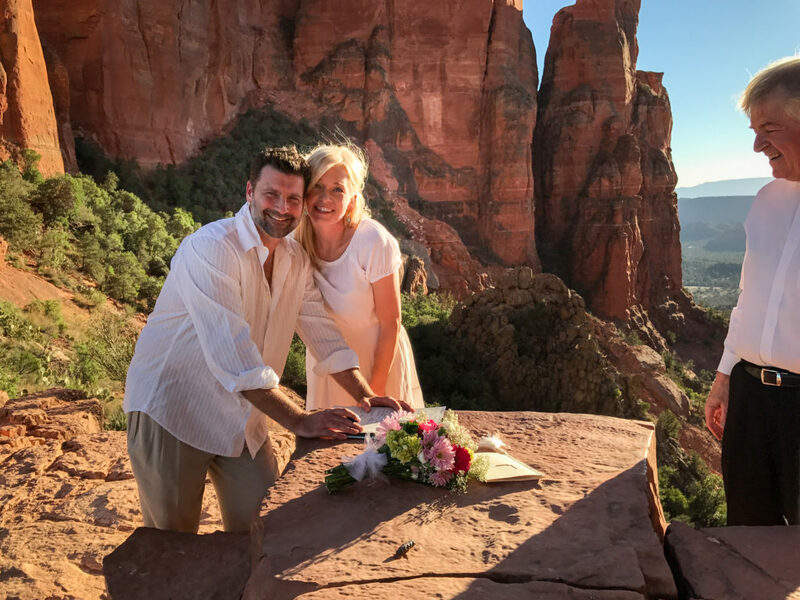 On a lovely warm, early Spring day, Abby and Dave, and Abby’s two kids, Garrett and Regan, hiked with me up to the saddle of Cathedral Rock to get married high among Sedona’s red rocks. 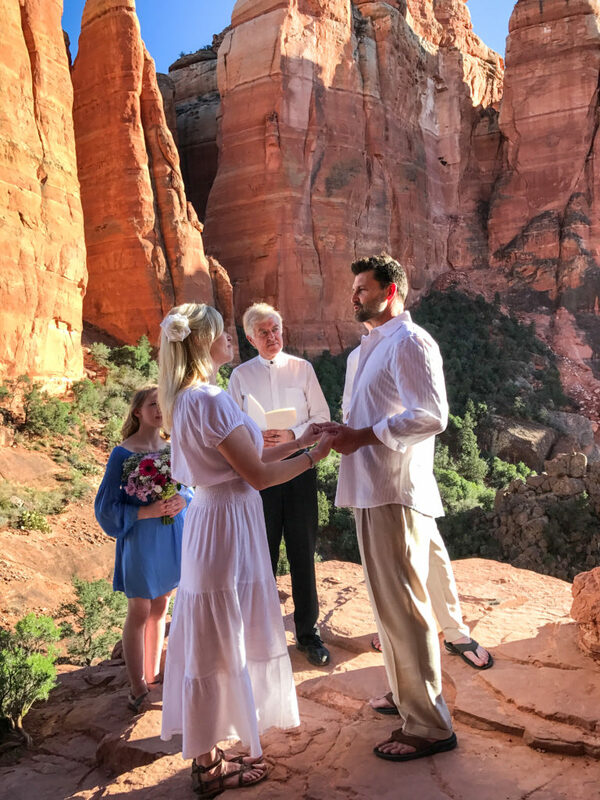 As a Sedona wedding officiant, I often officiate weddings out on the land, but this was the best! 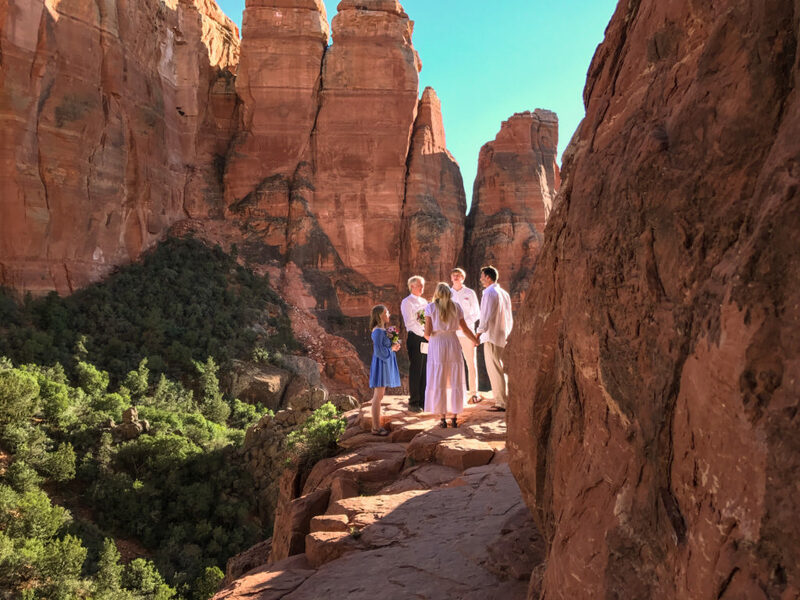 It’s a pretty steep and intense 20-30-minute hike, so not a lot of people choose it as a wedding location. 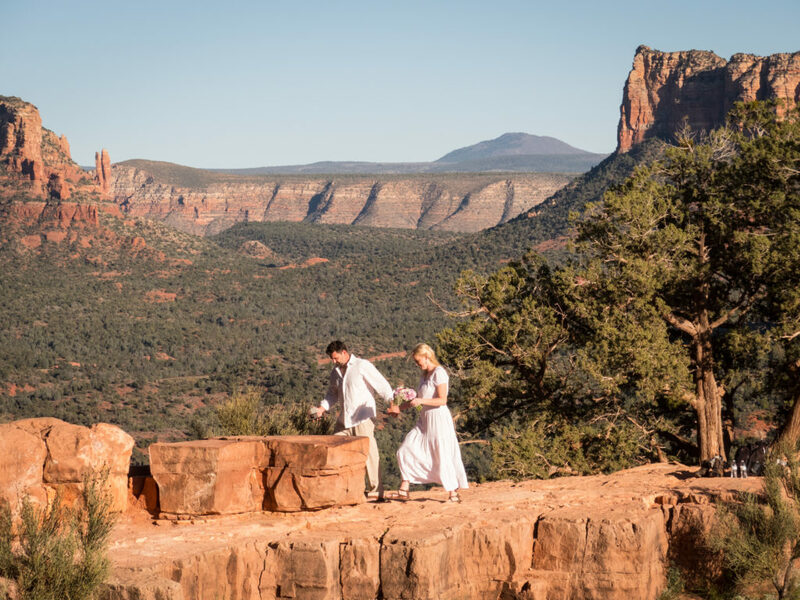 But, now, having officiated a wedding up there, I definitely recommend it! 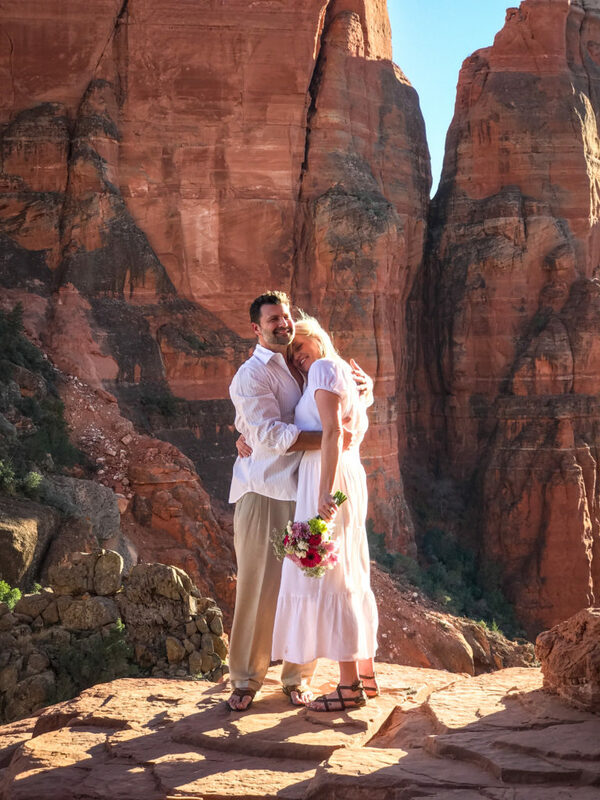 It was gorgeous up there! This is my favorite type of cathedral! The awesome photos were taken by David Sunfellow. 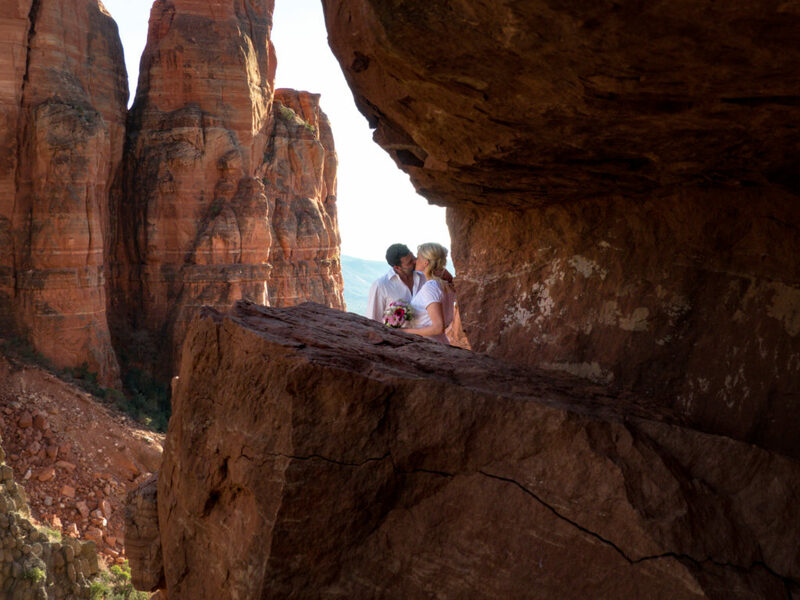 By pure coincidence, I’m scheduled to officiate another wedding up there next month. I look forward to it!